Y'all say, it's too expensive. If they first pictures come out amazing, everyone will quickly forget about $2800, sell some of your other gear, and pick one up. 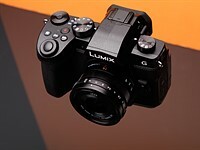 I ate $650 RX100 price couple months ago, and just hoping that the pictures from RX1 do not look that great. Because if they are, I will be very very weak..